Thanks to Tina Silvestro and Chris Sheridan for the Images. For the last year and half our beautiful Rose Window has been under construction. Thanks to Patrick Clarke and the great men over at Sunlites Stained Glass (www.sunlightsstainedglass.com) in Rockaway Beach the work on our Rose Window is completed and ready to be unveiled. 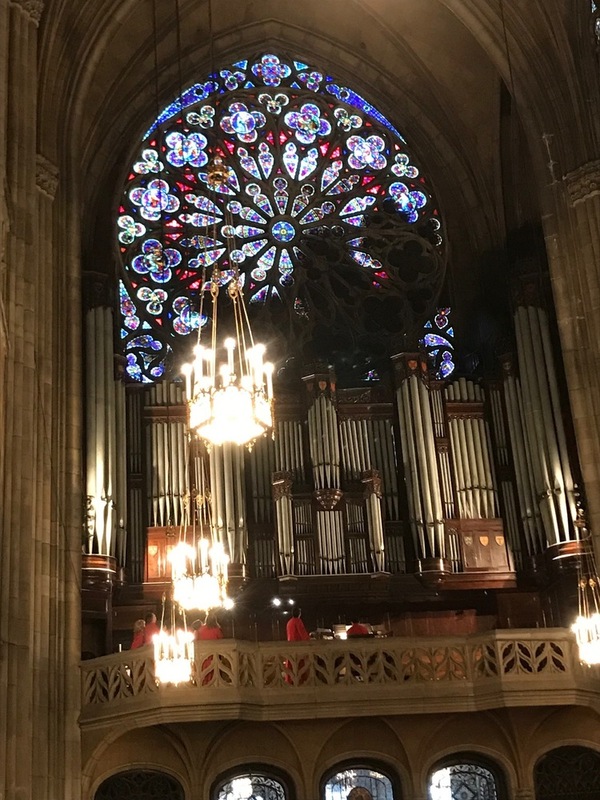 On Sunday, April 7th the restored rose window was revealed. Our 240 separate stained glass panels have all been removed, restored, reinstalled as well as all of the exterior safety glass being replaced . Thanks to Media Triangle // L. Brandon Krall at http://www.mediatriangle.com for the footage below.